Dr. George received his Ph.D. degree from Wright State University, Dayton, Ohio. His research interests include high performance computing, intelligent systems, verification and testing of VLSI circuits and systems, VLSI and FPGA implementation for advanced signal processing and communication algorithms for digital wideband receivers, and biologically-inspired electronics and designs. Dr. George brings in several years of research and teaching in engineering disciplines, deep knowledge and a keen understanding of the local high tech industry, and is committed to recruit more women and minorities to the College. He has extensive experience in conducting collaborative research and has authored a number of peer-reviewed technical articles and reports, and is a recipient of several grants and awards for both scholarly activities and teaching including the 2012 NSF CAREER award. Since his appointment at CSUF in 2007 he has been awarded several highly competitive extramural grants from both NSF and the US Army Research Labs totaling over $2.25 M. Dr. George serves as an academic advisor for computer engineering students and since his appointment in 2007 has supervised several undergraduates and graduates on various student projects, including students from local community colleges as part of the STEM grant summer research program. He is the PI and program director for the ECS Academic Catalyst for Excellence (ACE) program, NSF funded program at CSUF that targets academically promising but economically disadvantaged students with emphasis on first generation college students and underrepresented students. Dr. Bai received his Ph.D. degree from the University of Central Florida in 2016. 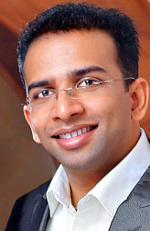 His research interests include computer architecture, stochastic computation, brain-inspired neuromorphic computing, ultra-low power and robust hardware through emerging nano-devices, non-boolean and boolean computing, low power digital and mixed-signal CMOS circuit design reconfigurable fabrics, and design automation. He has authored more than 20 peer-reviewed technical articles and is a recipient of several grants from industry and government. 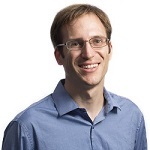 He is also a significant contributor to the NSF CARRER award, “iMPACT: Metaphysical- and Probabilistic-Based Computing Transformation with Emerging Spin-Transfer Torque Device Technology” in 2016. 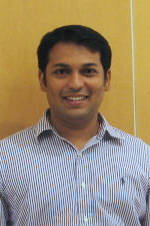 Currently, he is serving as a Technical Program Committee member of several IEEE/ACM conferences. 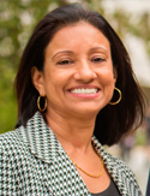 Dr. Susan Barua is the Dean for the College of Engineering and Computer Science at California State University, Fullerton. She received her Ph.D. degree in Computer Engineering from the University of Cincinnati in 1988. 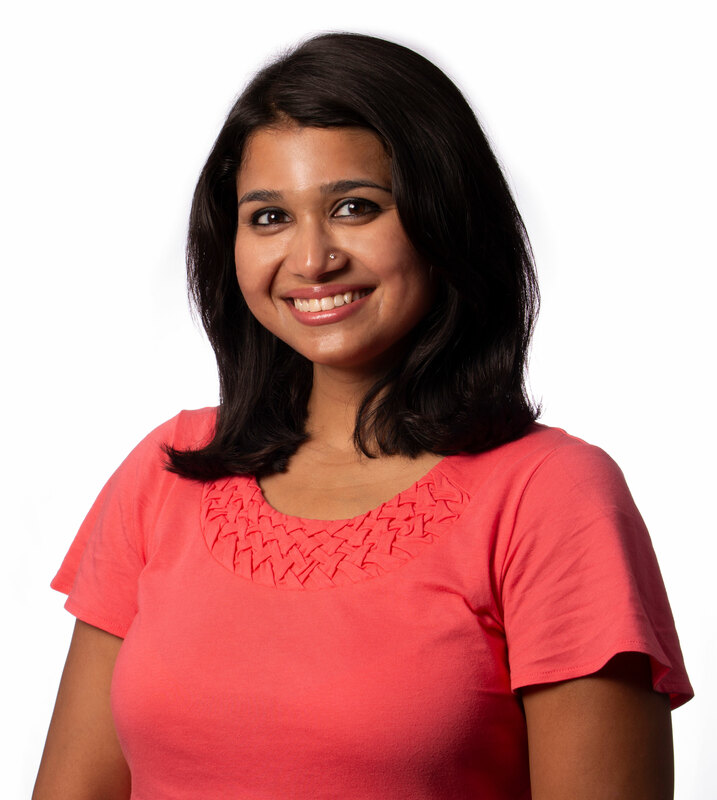 Her research interests include computer performance analysis, parallel computing, computer networking, Web-based database development, and interactive multimedia system. She has received grants from the National Science Foundation (NSF) and Lockheed Martin Corporation for support of her research projects. She has taught a wide variety of undergraduate and graduate courses on topics such as computer system architecture, computer networking, microprocessor hardware/software concepts, signal processing. and microcomputer system design. She is the author of numerous technical articles. Prof. Barua has received several CSUF awards, such as: Outstanding Teaching & Technology Innovations Award, Outstanding Recognition Award for Creative and Scholarly Activity, and Outstanding Service Recognition Award. 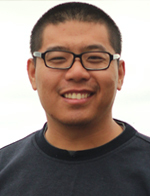 Dr. Yoonsuk Choi joined the Computer Engineering program as an Assistant Professor in the Fall 2014 semester. He received his Ph. D. in 2014 from the University of Nevada Las Vegas. His research focusses on hyperspectral data fusion using contourlet transform bridged with wideband technology for target detection. 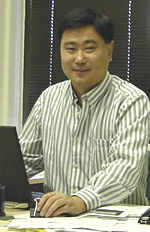 Prior to his doctoral studies, Dr. Choi was a research engineer/scientist in the semiconductor field with LIG Nex1 in South Korea, the Korea Institute of Science and Technology, Inter-University Semiconductor Research Center of Seoul National University and the University of Seoul Institute of Quantum Information Processing and Systems. Dr. Choi earned his Bachelor’s and Master’s degrees from Korea University, Seoul, South Korea. His current research interests include multimodal data fusion and compression, hyperspectral image fusion and analysis, remote sensing image fusion and target detection and multidimensional signal processing. Dr. Bin Cong received a Bachelor's degree in Computer Science from Nanjing University in 1982, and his Ph.D degree in Computer Science from University of Texas at Dallas in 1991. From 1991 to 1997, Dr. Cong was a member of the Computer Science Faculty at South Dakota State University, where he reached tenured Associated Professor position. He served as an Associate Professor at Department of Computer Science in Cal Poly, San Luis Obispo from 1997 to 1998. Since August 1998, Dr. Cong has been a faculty member of Computer Science Department at Cal State Fullerton, where he received early promotion and tenure in 2000 and 2001. Dr. Cong served as the CTO (Chief Technology Officer) for Angel Engineers, a technology company in Silicon Valley from June 2000 to August 2001, where he supervised all the R&D efforts and several major projects. During that period, he provided IT training in the US and Asia. Dr. Kenneth John Faller II received his Ph.D. in Electrical Engineering from Florida International University (FIU) in 2009. From 2009 to 2011, Dr. Faller was a NASA postdoctoral research fellow. His research interests are in the areas of Digital Signal Processing (DSP) and embedded systems. He has published several peer-reviewed papers as part of his research. At CSUF, Dr. Faller has taught several engineering courses ranging from the freshman level to the graduate level. His teaching interests are in the areas of computer architecture, embedded systems, mixed-signal design, hardware security, and DSP. The courses he has taught since joining CSUF include microcontrollers, embedded processor interfacing, current topics: wearable computers, hardware security, computer organization and design, advanced computer architecture, and real-time audio processing. He is the co-director of the Center for Collaborative Research and Prototype Development (CCRPD) and the co-advisor of the IEEE Computer Society (CS) chapter at CSUF . 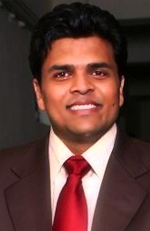 Dr. Rakesh Mahto joined the Computer Engineering Program in fall 2016, as an Assistant Professor. He received his PhD in Computer Engineering from the University of New Mexico (UNM). 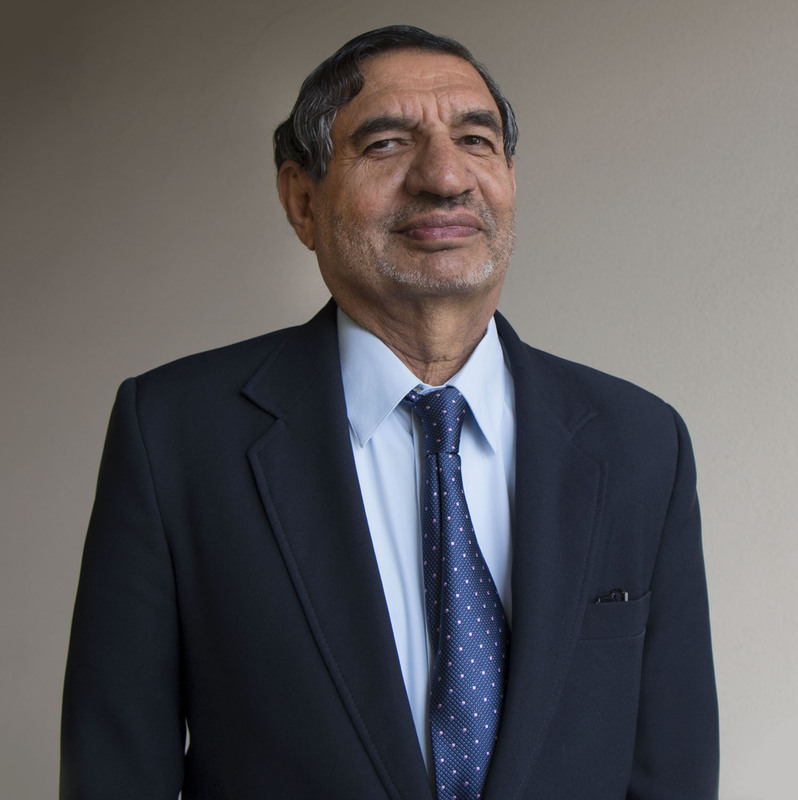 Dr. Mahto taught several undergraduate courses from freshman to senior level. He also mentored many undergraduate students in their senior design projects. Prior to joining the doctoral studies at UNM, Dr. Mahto received his M.S. in Electrical Engineering from California State University, Fullerton (CSUF). His research interests include photovoltaics, design application of FPGAs, low power design, mixed signal system design, hardware security, and RF electronics. His teaching interest includes digital system design using FPGA, hardware security, computer architecture, VLSI and analog electronics. Her doctoral research focused on controllable drug delivery from chitosan based substrates using non-invasive stimulus techniques, like electric and magnetic stimuli. She has filed a patent and published in several journals and conferences in this area. She has also worked on inkjet printable electronics using nanoparticle inks. She also has previous research experience in signal processing and optimization techniques applied to power signal domain. Pradeep Nair received his Ph. D. in Electrical Engineering from the University of Texas at San Antonio in 2009. His research interests include power/performance tradeoffs in the nanoscale domain, leakage power reduction in digital systems, computer performance analysis and evaluation, low Power FPGAs, and biomedical circuits and systems. He has published several peer-reviewed papers as part of his research. At CSUF, Dr. Nair has taught several engineering courses ranging from the freshman level to the graduate level. His teaching interests are in the areas of VLSI, Digital Systems, and Computer Architecture. The courses he has taught since joining CSUF include Introduction to Engineering, Digital Logic and Computer Structures, Microcontrollers, Designing with VHDL, Signals and Systems, Current Topics: Brain-Computer Interfacing, Low Power Digital IC Design, Design Applications of Microcontrollers and FPGAs, and Microprogramming and Embedded Microprocessors. Dr. Nair is also the co-advisor of the CSUF's IEEE Computer Society (CS) student chapter and the Graduate Program Advisor for the Computer Engineering Program. Dr. Michael Turi joined the Computer Engineering Program in Fall 2015. He received his PhD in Electrical and Computer Engineering from Washington State University in 2013. Prior to joining Cal State Fullerton, Dr. Turi taught for two years at Pacific Lutheran University in Tacoma, WA. 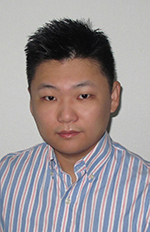 His research interests include low-power VLSI design using FinFET transistor technology, distributed embedded systems, and advanced computer architectures. His teaching interests include computer architecture, digital systems, and VLSI. Dr. Raman Menon Unnikrishnan is a Professor of Electrical Engineering as well as Computer Engineering. He was the Dean of the College of Engineering and Computer Science during 2001-2016. His teaching and research focus are in the areas of Control Systems, Power Electronics and Signal Processing. He is also active nationally and internationally in the fields of Engineering Education and Engineering Accreditation. Prior to joining Cal State Fullerton, Dr. Unnikrishnan served as the Head of the Electrical Engineering Department and Associate Dean for Graduate Studies and Research for the Kate Gleason College of Engineering at the Rochester Institute of Technology (RIT) in Rochester, New York. He received his BS degree from the University of Kerala, India, MS from South Dakota State University, and the Ph.D. degree from the University of Missouri, all in electrical engineering. Dr. Unnikrishnan is a Fellow of IEEE. He is also a member of Eta Kappa Nu and Tau Beta Pi. 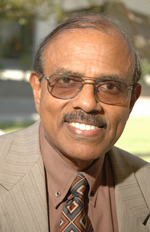 In 2006 Dr. Unnikrishnan received the Missouri Honor Award for outstanding contributions to engineering. Fullerton Chamber of Commerce recognized him in 2015 as the “Educator of the Year.” In 2016 he received American Society of Engineering Education’s “Distinguished Educator Award” from the ECE Division. He is a member of the Accreditation Committee for American Society of Engineering Education (ASEE). He was a Commissioner of the Engineering Accreditation Commission of ABET during 2008-13. During 2009-2014 he was the US mentor to India representing ABET as the National Board of Accreditation (NBA) in India successfully sought membership in the Washington Accord. He is a member of the Engineering Accreditation Activities (CEAA) for IEEE, a body responsible for recruiting, training, mentoring, assigning and monitoring IEEE program evaluators for ABET, and during 2016-18 he served as the Chair of CEAA. He also represented IEEE as a member of the Engineering Area Delegation, a board-equivalent entity of ABET during that time. He is active in educational quality assurance worldwide. Mathematics, U of M, Ph.D. in EE, U.S.C. Dr. Grewal has over 40 years experience in systems identification, guidance, navigation, and control. 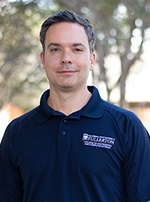 He is well known for his innovative application of Kalman filtering techniques to real world modeling problems and his ability to communicate this complex subject to his students. Grewal co-authored Kalman Filtering Theory & Practice Using MATLAB, 4th Edition, Wiley & Sons, 2015, and Global Navigation Satellite Systems, Inertial Navigation & Integration, 3rd Edition, Wiley & Sons, 2013, translated into Simplified Chinese in 2015. He has published more than 85 papers in IEEE and ION refereed journals and proceedings and holds patents in GUS clock steering and L1/L5 differential bias estimation. Dr. Grewal is Professor of Electrical Engineering at California State University, Fullerton, which awarded him its 2008-9 Outstanding Professor Award. He has received other awards from Rockwell, Orange County Engineering Council, and the Sikh community. His consulting associations include Raytheon Systems, Boeing Company, Lockheed-Martin, University of California, Riverside, staff of the U. S. Department of the Interior, Geodetics, and Northrop. He is a Senior Member of IEEE, Fellow of the Institute for the Advancement of Engineering, and member of the Institute of Navigation. Dr. Grewal serves as a reviewer for IEEE and ION publications. This site is maintained by Computer Engineering Program.